Hi guys. I know I've tortuously teased you with supposed "news" that will seem somewhat big and exciting. Well, the truth is, my news is as follows: I bought a new car that actually has a plug in for my iPod! Okay, that's true, but it's not the news. And unfortunately, I can't spill the beans yet. Why, you may ask? Because besides other things like being a genius, hard worker, and total stud, my agent is also a tyrant, and I do whatever he says. So there. Hopefully I can tell you on Monday. Meanwhile, I'd like to share an experience I had this morning. I was jogging, and thinking really hard about a certain book I'm working on, and I had 2 epiphanies! That's right, 2. A certain plot point and the ending will vastly improve now, and it was quite the experience. My eyes actually teared up I was so happy. Why did I tell you that? Answer: Just in case you were starting to doubt that authors are psycho. We are, and the sooner you accept it, the better. Random thought: I think my current favorite band is Coldplay. I've been listening to their new album, and I love it. Especially after listening to it 3 or 4 times. The songs really grow on you and now I can't wait to listen to them again on the way home today. You should definitely check it out. Another random thought: Georgia lost the college world series after winning the first game against Fresno State. Who cares, bring on football. Yet another random thought: I hate hot weather. I'm a winter sorta guy. Which makes things like July and Global Warming not my favorite. One last random thought: I overcooked the steaks last night. I'm a loser. Okay, I think I'm done here. Until I can talk about what I'm not allowed to talk about, you're gonna get lame blog posts like this one. Maybe next time I'll describe the top ten sitting positions in which I like to read a book. By the way, I was just kidding when I called you a tyrant, Michael. Sir. Well, folks, it's officially been 5 years since my very first book came out, A DOOR IN THE WOODS. It blows my mind to think about how much has changed since then, and how much I've learned about the writing craft and the publishing industry. Not to mention the changes in my family. For fun, I'll try to list some of the differences between then and now. Then: I had 2 boys, one a baby. Now: 3 boys and a girl, oldest eight years old. Then: Dark brown hair. Now: Dark brown hair with traces of gray. Then: Very skinny. Now: Almost skinny. Then: Small regional publisher. Now: National publisher. Then: First print run of 1,000 copies, paperback. Now: First print run of 40,000 copies, hardback. Then: Michael Vick. Now: Matt Ryan. Then: Had never met another author. Now: Have met dozens, including quite a few biggies. Then: Amateur writer. Now: Not-too-bad writer (I hope!). Then: Aspirations to become a financial guru. Now: Aspirations to never use a calculator again. Then: Miserable book signings where people who'd never heard of James Dashner looked at me like I had leprosy. Now: Book signings where people actually come to the store knowing I'll be there, wanting to buy a book. Then: I begged schools to let me come visit their kids. Now: Schools ask me to come visit. Then: Willing to donate my left kneecap just to see my book in a bookstore. Now: Willing to donate my left kneecap to see my name on the NY Times list. Then: Naive about the publishing industry. Now: Naive about the publishing industry. Then: A cover with a gigantic photo of a kid's face on it. Now: A cover with an awesome painting by studly New Yorker Bryan Beus. Then: Had an unnatural urge to eat cheese. Now: Have an unnatural urge to eat cheese. Then: No agent. Now: Michael Bourret, best agent on the planet. Then: Knew nothing. Now: Know a lot more. Alright, that's enough. Wow, things have changed. Things have really, really changed. If you want to read the 8-part story of how I got published, just scroll down and click on the links to the right that tell every detail. It's an interesting tale. And the tale is about to get a lot more interesting. Stay tuned. Sorry, probably the lamest blog title I've ever come up with, but I don't even know what I'm going to write about yet, so there ya go. Most exciting: Georgia Grandma has arrived in Utah!!!! (That's my mom, and that's what my kids call her.) She hasn't made it out here in 4 years, so we are thrilled to have her for 10 days. This is the sweetest, humblest, kindest, most wonderful woman to ever step foot on the face of Planet Earth, so I wish you could all meet her. And what are the odds of this: I just happened to be sitting at lunch with her and my wife and our kids, today, right after she arrived, when I got a very awesome phone call. Now, I can't tell you yet what that awesome phone call was about, but let's just say it was a very special moment, and some tears were shed. Stay tuned. Dude, Tiger. Dude. Tiger. Out for the rest of the year. After winning what most sportcasters are calling the best US Open ever. My heart is broken. Now I have to prove I'm a real golf fan and watch tournaments without him playing. Bleck. I just hope he's okay in time for next year's Masters! Anyway, now I love Utah and the people here, but they can't hold a candle to the pure hospitable nature and charm of my homeland folks. It just kills me that my kids can't say "yes ma'am" because they'll be given a weird look, perhaps even accused of being rude. Makes me very sad. It still hurts me to hear kids yell "WHAT!" when their name is called or "YEAH" when asked a question. That just sounds plain rude to me. But I'm a dumb old southerner, and there you have it. Seriously, I can't tell you how many times I've heard people out here say with a straight face that they think someone is ignorant if they have a southern accent. Chaps my hide! Thank you, Mom. I love you. I might not let you go back home. A few of you may not know this, but somehow the boundaries set up by Chuck Darwin failed miserably when it came to me, and I was allowed to procreate. I have 4 children, which officially qualifies me for Father's Day. And what a day it was. For a week or two, my wife kept begging me to tell her what I wanted for this special day. I kept answering that I had no idea. Seriously, the only things I can think of when people ask me about presents are gift certificates to bookstores and enormous TVs. Well, my wife is sick of buying me Barnes and Nobel GFs, and she claims I should be satisfied with my 43-inch widescreen HDTV (puh-shaw!). She came up with the idea for a new barbecue, because ours is almost dead and gone. I didn't like this proposition. I know I'm a selfish flub, but I hate the idea of presents that are just things you were going to buy anyway. Yes, we need a barbecue. And if Father's Day were six months from now, we'd still go buy one. Blah. So then I came up with the perfect plan. I told her all I want is to sit around and watch the US Open all weekend (NO SPOILERS!!!!! I AM DVRing THE PLAYOFF TODAY AND WILL NOT KNOW THE OUTCOME UNTIL LATE TONIGHT. NO SPOILERS IN THE COMMENTS UNTIL TOMORROW!!!!!!). So yeah, sweetie, please just let me sit around and be lazy and do nothing. I knew what my wife would say next, so I cut her off: yeah, how's that different than any other day? Hardy har har. So Saturday I TiVoed the tournament and watched Tiger's every shot that night. Then, yesterday, I completely ignored my extended family at the get-together at Grandma's and Grandpa's and watched Tiger's every shot live. I can't explain what pure bliss this was for me. Now, stop all the snickering. If you think watching golf on TV is second only to watching a blade of grass grow on the bore-o-meter, then you have not been introduced to Mr. Tiger Woods. 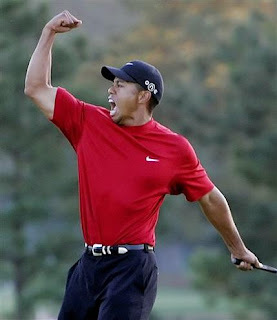 I think I'm finally ready to publicly admit that Tiger is my favorite athlete of all time. I love this man. I love his knowledge of the game and his superhuman skills. But most of all, I love his mix of pure concentration and passion on the course. He is SO FUN to watch. Saturday, he was 5 strokes back with 6 holes to play. He ended up in first place. Sunday, he double bogeyed the first and bogeyed the second to lose his lead. But then, on 18, under enormous pressure, he sunk a long birdie to force a playoff with Rocco Mediate today (playing as we speak - NO SPOILERS!!!). His reaction, fists pumping, screaming, high-fiving, was one of the highlights of my sports-watching career, right up there with the Braves winning the series in '95 and the Falcons winning the NFC Championship in '98 and Evander beating Tyson (the first time, not the ear-biting time). My son Wesley and I were doing our best to imitate Tiger's celebrating in Grandpa's living room, at the stunned stares of family members. Football will always be my favorite sport (by FAR). And I really love baseball and basketball. But Tiger just might be my second favorite. Yes, I consider Tiger himself a sport. And watching the NBA Finals last night after the Tiger experience was SO BORING. I think I've officially turned into an old man. So, here's to a long day of avoiding TVs, radios, and the Internet so the outcome isn't spoiled. I can't wait for my next date with Tiger, tonight after the kids go to bed. I hope there'll be a lot of fist-pumping. Okay, "Lunch of Doom" is a bit harsh. In fact, my lunch with my editors was very enjoyable, and flew by despite going almost 3 hours long. We ate at one of my favorite restaurants, Thaifoon, and I stuffed my face while listening to Chris and Lisa take turns telling me what needed to be fixed in THE HUNT FOR DARK INFINITY. The good news is that both of them convinced me they really liked it, and honestly, there is no bad news. Yes, they spent three hours going over their notes, telling me thisses and thats and whatabouts and whathehecks and sayhuhs, but everything they said was brilliant and will make my story much, much better. Seriously, these guys are very talented and are good at what they do. I now have one month, until July 14, to do my rewrites. Luckily, there are no major, major problems, and only 2 problems that will take somewhat significant work in terms of ripple effects through the whole story. Lots of little fixes, but one month should be plenty of time. Meanwhile, my awesome illustrator, Bryan Beus, has read the preliminary draft and is brainstorming and working on the cover art as we speak. I imagine we'll see the cover around late August or early September. Now for THAT, I absolutely can't wait. The cover for Book 2 just might be the most important element in assuring this series takes off (assuming the book is good, and, really, come on). No pressure, Bryan. Now, I thought I'd report on the latest books I've read. Not really reviews, just reports. THE GOOD GUY, by Dean Koontz. Perfect book for travelling, lightning fast pace, fun to read. Nothing will knock you over about the plot. But the last line of Chapter 1 is one of the best endings to a first chapter I have ever read. The only problem I ever have with Mr. Koontz (and based on my BEA report, you know how much I idolize him) is his humor. I just feel like he tries way too hard to be funny sometimes in the banter between characters. Especially in tense situations. It's like a bad summer blockbuster movie. But still, I love him and will read every book he writes. SPOOK, by Mary Roach. I now have a goal in life to meet this author. She's hilarious, and thinks just like I do. This is a light-hearted, non-fiction account of Mary's attempt to prove to herself, scientifically, that there is an afterlife. It is such a fun and fast read. She does everything from interviewing supposedly reincarnated folks in India to enrolling herself in Medium school. All the while, she cracks you up. Loved it. This may be the culmination, climax, whatever you wanna call it in my career as a reader: One of my favorite authors (if not THE favorite), writing an epic story that is so long and so full and so deep and so rich that I can hardly stand it. It's the uniqueness and contrast I love so much. You have gunslingers and wizards, barren dusty lands and downtown New York City, mafia gangsters and grotesque mutants, cowboys on horses and supersonic monorail trains that talk and love to solve riddles. It is, simply, the best thing I have ever read. As Roland would say, I set my watch and warrant on it. Holy Hareinmekeister (LOVE GURU reference), I went over a week without posting! I've never done that in my nine months of blogging. I humbly apologize - after BEA, I guess anything I thought about writing seemed anticlimactic. 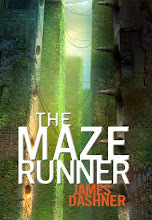 THE MAZE RUNNER is officially out at publishers. I'd say more, but my agent would chop off my fingers if I did so. I'll let you know if and when it sells. I mean when. Not if. Right? This summer have unfettered access to professional children’s authors, all in the name of charity! Saturday, July 19, several local authors will host a Writing for Charity event in Salt Lake City, with all profits going to The Wheelchair Project. Come hear writers talk about their process, how to write for a young audience, storytelling tips, and the ins and outs of the publishing business. In addition, have your picture book text or first page of your novel (the most important page!) workshopped by professionals. Authors include Brandon Mull, Shannon Hale, Mette Ivie Harrison, Ann Cannon, Kristyn Crow, Becky Hickox, Kimberley Heuston, Anne Bowen, Aprilynne Pike, Ann Dee Ellis, Mike Knudson, and Wendy Toliver. Make checks to: "LDS Philanthropies" (the organization that runs The Wheelchair Project) and write "Wheelchair" in the memo line. Also include: Your name, age, phone number, and area of interest-- picture book writing, fantasy novel, or realistic fiction novel. On the day of the event, bring 15 copies of the first page of your novel or picture book text (maximum word count: 300 words) for some hands on workshopping. 100% of the proceeds (after the nominal location fee) go to The Wheelchair Project, a wonderful charity that donates new wheelchairs to people in third world countries, many of whom have never had one. A wheelchair can completely change the life of a disabled person, offering mobility, increased independence, and a chance to go to school or find employment. Because this charity is administered by volunteers with LDS Philanthropy, there is no overhead and every penny donated goes directly to purchasing wheelchairs. 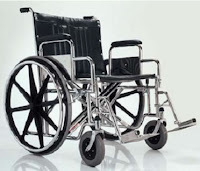 This is not a religious charity--the wheelchairs go to the needy regardless of their faith. Thank you for supporting this extraordinary cause! Well, I'm a little late reporting, but the Dude was too tired last night to think about blogging. You'll all be greatly relieved to know that I'm no longer buggin' to up-chuck. But that little spot behind the tree in that posh Beverly Hills neighborhood will always be special to me. And to Chris and Brandon. Yesterday, the last day of BEA, was a great finale. I spent the morning signing the rest of my books and wandering the booths. And then came the awesome luncheon with Dean Koontz and Michael Connelly. We sat at a table just 15 feet from these two mega authors as they answered questions from a USA Today reviewer and then from the audience. You'll be proud to know that I was the first one chosen to ask a question, and it was so brilliant I can't remember what it was. I really like Dean Koontz. He's had such an influence on my writing, and I've read almost all of his books. It was very surreal, and when it was over, I sprinted toward him so we could shake hands and I could tell him how thankful I am he chose to be an author. I also shook Mr. Connelly's hand and got both of my free books signed. It was awesome. I promised Mr. Koontz I'd send him a copy of my book as a thank you. Please don't let me forget. The afternoon was spent chillin' with all the great Shadow Mountain people, shipping home our bazillion free books, and readying to head home. I was very excited to see my family, but also a little sad that my first BEA was now over. New York next year, baby!!!!! To top everything off, I met Mike Tyson in the airport and shook his hand, too. There you have it, full circle. And no, I'm not joking, I have witnesses. I told him I've been a fan of his my whole life, which couldn't be further from the truth. But I didn't want an uppercut to the chin. Now, after all that, after all those cool authors and all those cool times, the ultimate highlights of my trip occurred last evening. The first was an idea for a book shared by Chris on the plane. It exploded in my head and affected me more than an idea has in a long, long time. I'm already busting to write it and have the whole thing forming in my skull. Thank you Chris! It's going to be called PHOBIA and you can look for it in bookstores within the next 2-10 years. And the second, of course, was finally getting home to my wife. I've done a lot of travelling lately, and I think this one was particularly hard because I was having so much fun while she labored at home with the kids. It was a very sweet reunion and I'm glad to say that after my trip to Georgia later this week, I'll be home the rest of the summer. And Chris has already declared that next year we're all taking our spouses to NY. The countdown to BEA 2009 has officially begun! To Chris and Gail and Angie and Lee and John and Boyd and Shauna and all the other wonderful people at Shadow Mountain who were there, I say thank you for letting me be part of this and for showing so much faith in me as a writer. I hope I don't disappoint. Another great day. Besides the fact that I got extremely nauseated and almost threw up several times this evening and fell asleep early and just woke up in the middle of the night with a small demonic dwarf singing inside my brain telling me to update my blog. That sounds worse than it really was. Instead of time by time, I'll list today's events in terms of highlights. I hope to post pictures once some very nice people email them to me. Sorry, meant to bring the missus's camera. 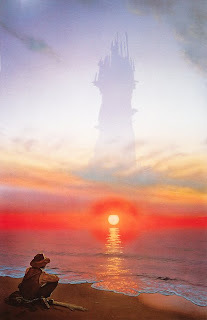 The following items are NOT in order of wicked coolness; they are mostly chronological. * I spent most of the morning signing inside the Booth and meeting lots of great librarians, teachers, bookstore people, authors, publishers, etc. A lot of people have copies of THE 13TH REALITY that did not have them yesterday. * Spent time walking the showfloor with Jason Wright, often New York Times Bestselling author of CHRISTMAS JARS, WEDNESDAY LETTERS, and the upcoming RECOVERING CHARLES. He gave me lots of sound advice and told me many valuable things he's learned the last couple of years, including how much his agent (Laurie Liss) has helped him. This really made me thankful that Michael Bourret was suckered into representing me. * I was thrilled over and over to hear so many editors and marketing people from the major publishers tell me how well they know Michael and how lucky I am to have him as an agent. Kudos to you, Michael! * Had lunch with Jenn Northington from The King's English bookstore in Salt Lake City. I made her sign a contract in blood to always invite me to meet big time authors when they come to her store. Jenn has become a great friend, and the authors of the world are lucky to have people like her alive. * Spotted Sherman Alexie passing nearby while eating. Before I could talk myself out of it, I jumped from the table and ran to him, using my good friend Sara Zarr as an excuse to introduce myself. This guy is tops, dude. He was so incredibly gracious, genuine, and kind, and now he's earned a true fan for life. The world is lucky he switched to writing for younger people instead of stupid boring old adults. * Hung out around the main autograph tables for awhile. Stood ten feet away from Christopher Paolini (ERAGON, as if you didn't know) for at least five minutes and simply stared at him. I didn't have a ticket for his line, so I could merely stalk. He seems like a really nice guy, too, smiling and making a nice moment for each signee. I almost murdered Chris when I found out he and Brandon "chit-chatted" with Mr. Paolini for 15 minutes in the green room. * Hung out with Dean Lorey again (NIGHTMARE ACADEMY) and his lovely wife. He's definitely one of my new favorite people and we swore to keep in touch. * Had the incredible privilege to meet and talk with Melissa Marr (WICKED LOVELY). I know so many people who LOVE that book and its sequel INK EXCHANGE. Stephenie Meyer fans are going to discover her more and more as time goes by. * Met a lot of awesome people in the booths, which I was more able to wander today. Except I have the worst timing of human history - I kept just barely missing people like Dean Koontz and Stan Lee. * Really enjoyed meeting the Mirrorstone Books people, who surprised me greatly when at least 3 of them recognized my name and told me how much they loved THE MAZE RUNNER, which they are considering. Can't say much more on that topic, but a big thanks to them for making my day. * Chit-chatted with Rubin Pfeffer, Senior Vice-President of Simon & Schuster. An incredibly nice guy who very sincerely expressed how impressed he is with Shadow Mountain, my book, and their partnership on the paperbacks. Sorry, I don't know anything yet, so don't ask (hee hee). I also met Bethany Buck, a vice president (over Aladdin and Simon Pulse). S&S sure has nice people! * And then it happened. Me. Brandon Mull. Chris Schoebinger. Cocktail (and Coca Cola) party at the headquarters of CAA, Creative Artists Agency. Met Matthew Snyder, uber agent who is representing the movie rights for Shadow Mountain and a wonderful guy. And then Neil Gaiman walks in, who was literally only there for about fifteen minutes (he has to appear at ALL the parties, I reckon). But thanks to Mr. Mull's lightning quick feet, the three of us spent several minutes talking to THE MAN himself. I know you're getting sick of my use of hyperbole, but holy cow what a genuinely nice man. Seriously. He told us the coolest story about how THE GRAVEYARD BOOK is the first time in his 24 year career that a book has exceeded his initial vision, i.e. turned out better than he'd hoped. And he didn't say this arrogantly at all. What I'm trying to say is that somehow he made us feel like we were on the same level, and we just talked shop. It was incredible. We shook hands, well-wished, and parted. I think Brandon was even more geeked out than I was. Barely. Then I got sick (no worries, Mr. Gaiman, had nothing to do with you!). It'd been building for a few hours, slowly but surely. Not sure where it came from, but the ride home was miserable and Chris had to pull over, if you know what I mean. I can't imagine the teasing I'll get for years to come. Came to the hotel and went straight to bed, sick but smiling from the great day.